This is the last post on this tunic.I am uploading the completed tunic and the basic pattern on which I worked this yoke. 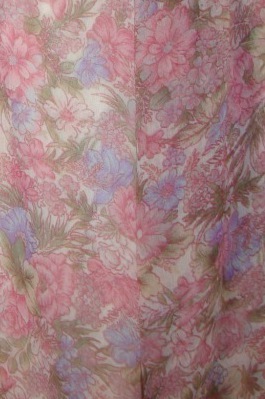 The close up of the same yoke, the tailor changed the neck design which I had drawn earlier. I am on vacation now , and have been scheduling the posts on my blog. 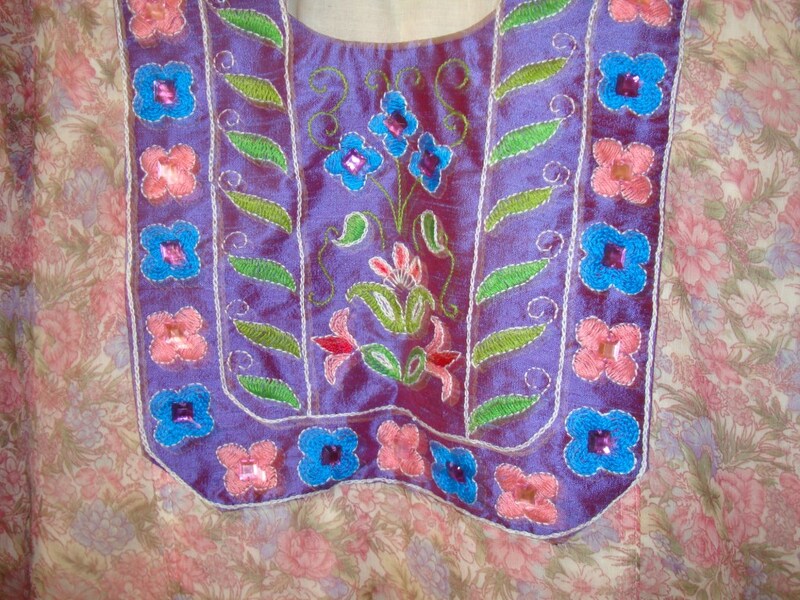 Now pink colour thread is used to fill the remaining florals.And white colour thread is worked in backstitch to outline all the filled patterns.now all the colours of the tunic fabric are used. The completed tunic on my post. 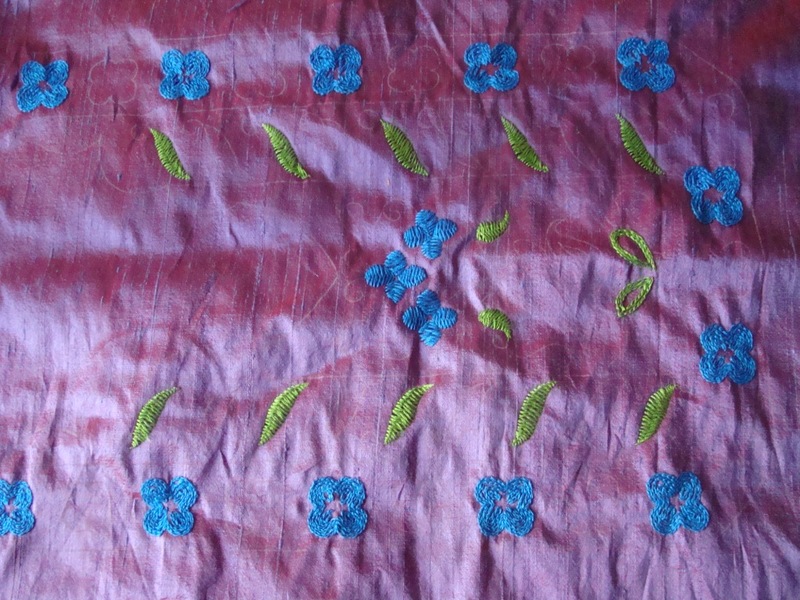 This yoke pattern is made of florals and leaves, after working with blue thread, the next one was medium green colour, I used this and light green for filling the leaves with herringbone stitches. The next colour was light green, this was used for filling with herringbone stitches , and stem stitches. 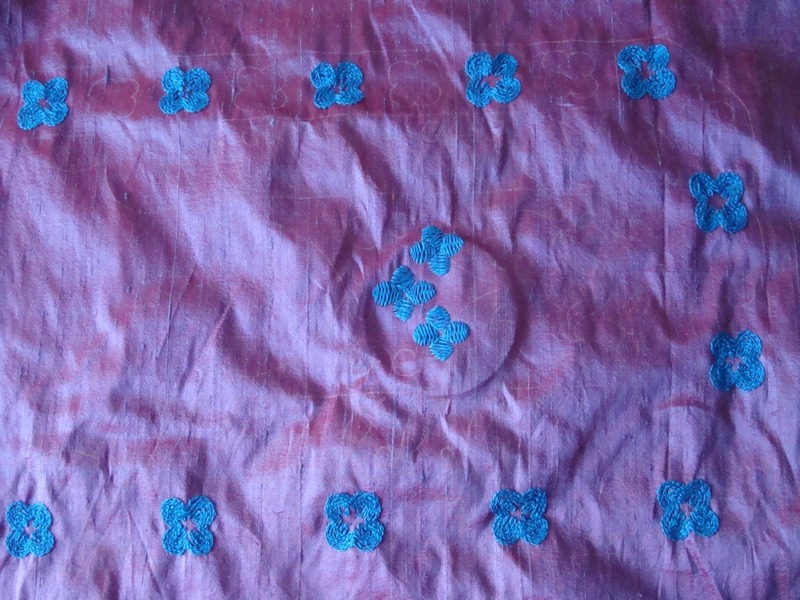 A dark pink colour thread was used sparingly for the centre pattern. 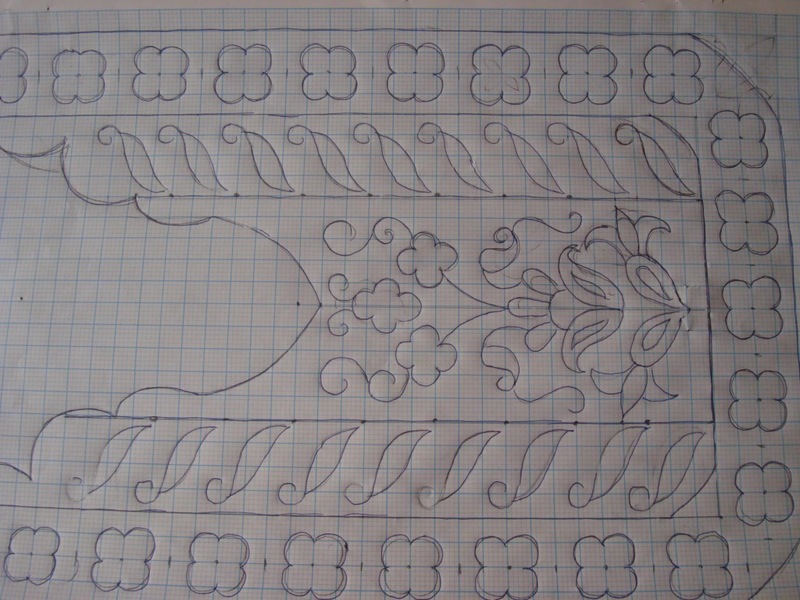 As I mentioned earlier, this is a very simple yoke pattern. 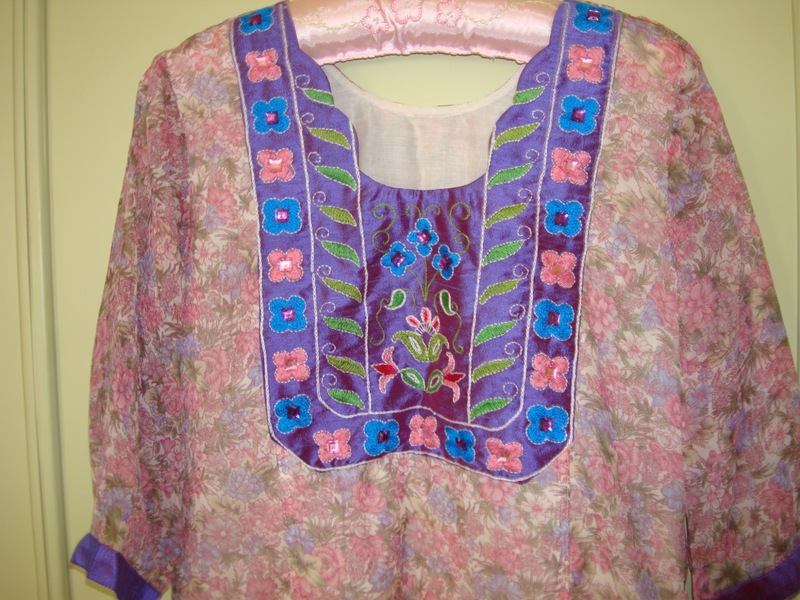 This tunic was a synthetic floral printed fabric. 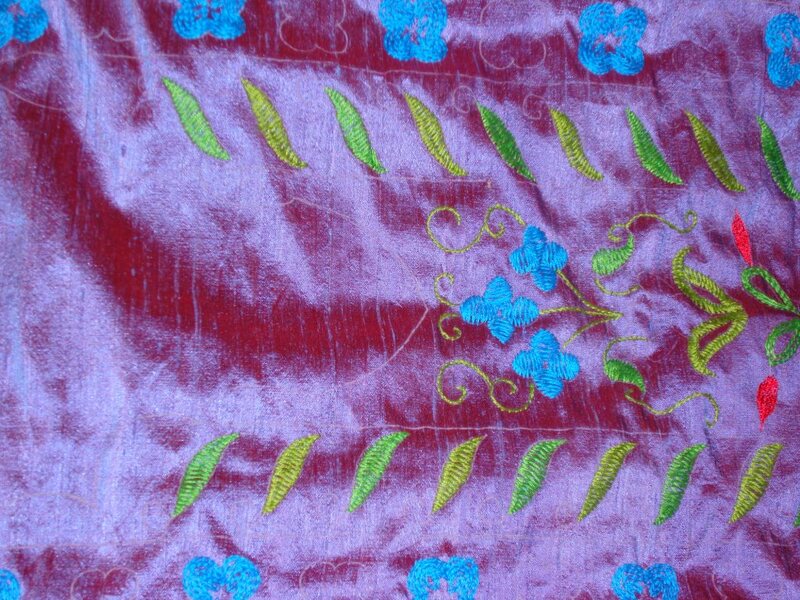 I predominantly work on cotton fabrics, some times I work on silk fabrics too. 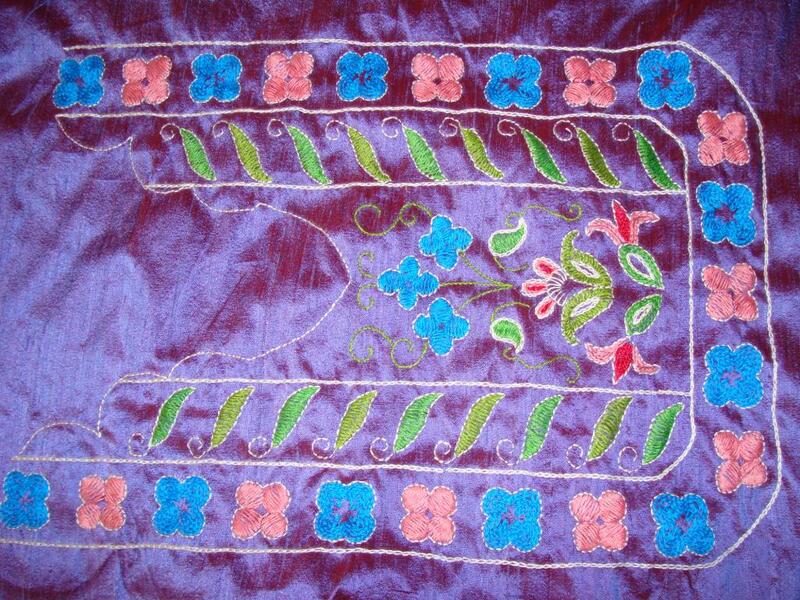 This yoke is worked in silk . I wanted the yoke to be a simple one. 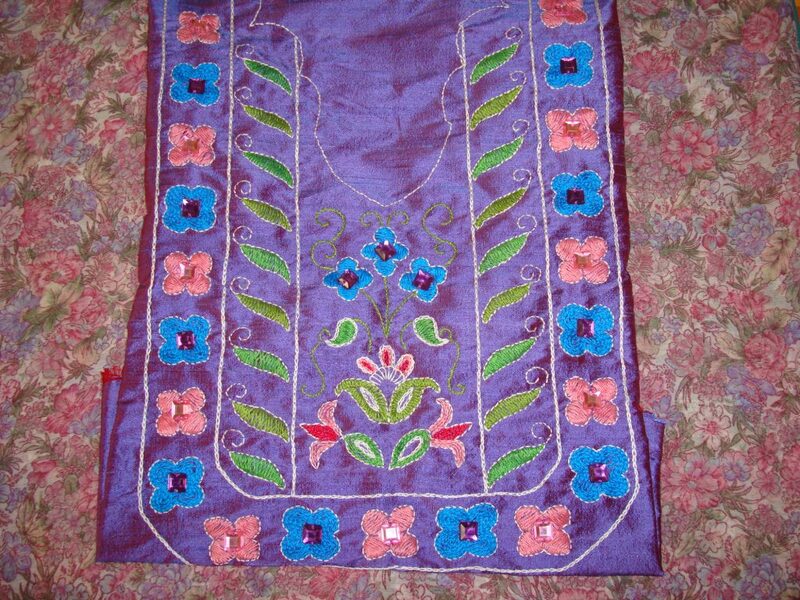 The yoke itself was big, the motifs also big, but the embroidery was simple, I filled the motifs in herring bone stitches and outlined them with back stitches. At first I had planned on filling the motifs with chain stitches, but while working, found that they took a lot of time to be filled,so I switched to herringbone filling. This picture shows both.